"Ghost Light Vaudeville Society is proud to honour over a century of Vancouver performing arts history. We choose to represent an artform that built a strong community and brought a diverse group of performers into the limelight." Vaudeville has a strong history in Vancouver, and in it's heyday the scene brought talented and diverse performers to the city's own great white way. 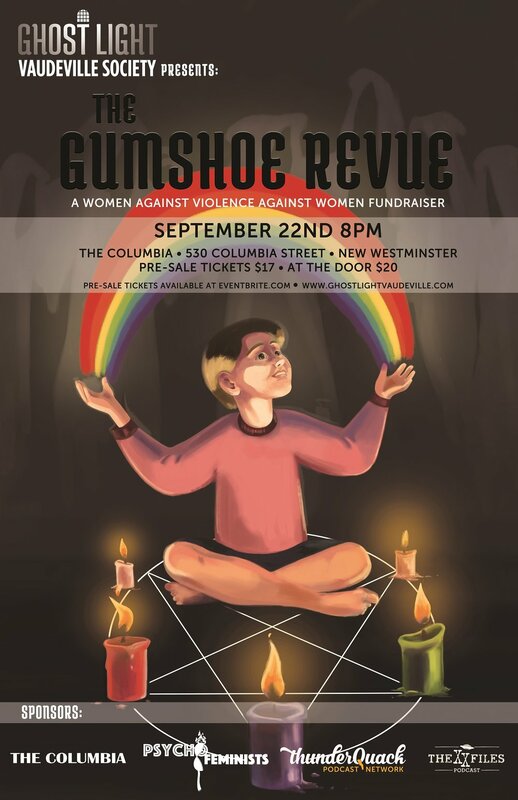 We kicked things off in September 2016 with our first production: "The Gumshoe Revue." We were able to donate the majority of the proceeds to Women Against Violent Against Women, a local intersectional charity for domestic abuse survivors.